Floating Offshore Wind (FOW) is complimentary to Bottom Fixed Offshore Wind (BFOW) and holds the key to an inexhaustible resource potential in Europe as 80% of all the offshore wind resource is located in waters 60 m and deeper in European seas, where traditional BFOW is not economically attractive. While FOW technology was previously confined to R&D, the technology has developed significantly in recent years, and FOW is now ready to be integrated into the energy market. 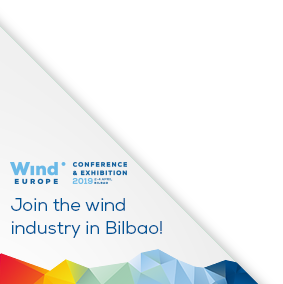 Europe has long been the global leader in offshore wind and Floating offshore wind will take advantage of technologies and cost reduction techniques developed in bottom-fixed offshore wind. Floating offshore wind has a very positive cost-reduction outlook and it is expected that costs will fall significantly in the years to come. Europe’s leadership in offshore wind energy and in facilitating the energy transition can only be maintained by expanding the renewable energy focus to include floating offshore wind. An increase in offshore wind installations is needed in order to meet renewable electricity generation targets set by the European Commission. This will only be realised if floating offshore wind receives a stronger commitment from policymakers throughout Europe. Developing a positive policy environment around floating offshore wind will improve the outlook of this technology and will attract the private investments needed for the industry to succeed in its commercial deployment.